This version is for CorelDraw v.2018 only. A great way to put some pizazz in your art. With this macro you can quickly create highlights on your selected shape. Easily adjustable to get just the vector highlight effect you need. 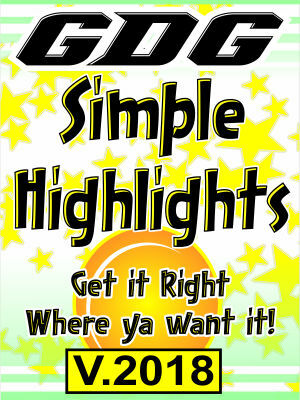 Other options include saving up to 6 presets for quick highlights. With the click of the quick highlight button you can create a highlight on your shape with automatic, saved position and color fill options. This is a very easy way to take your designs a notch up with such a simple effect. This version is for CorelDraw v.2018 only. NEW: This version now adds the ability to save the current highlight as a preset easily. NEW: Friendlier with other document units besides inches. Ability to wipe macro settings or convert units from inch to other. Also the macro has been further optimized and other minor enhancements and fixes were added. This version is for CorelDraw v.2018 only.